Melt the margarine in a pan over high heat and get the carrots, salt & pepper, and sugar all working together in there. Don’t be afraid to let the carrots crisp up and brown a bit. 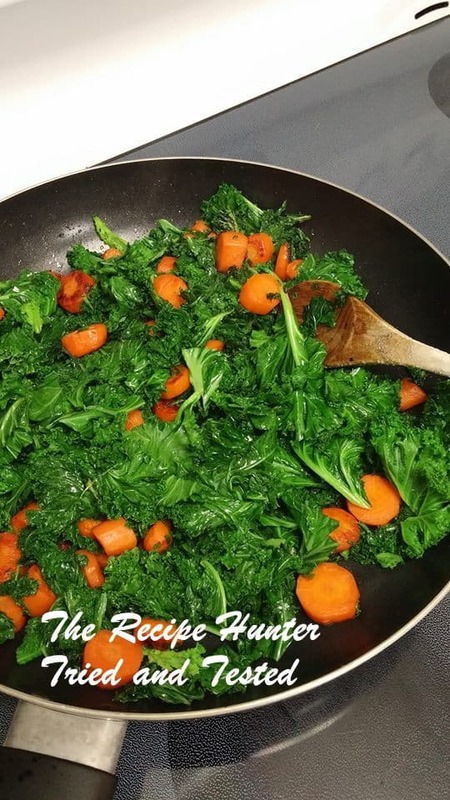 Add the kale when the carrots are completely done, turn off the heat, and just toss until the kale is wilted. Drizzle, not too heavily, with apple cider vinegar – this touch of tartness works beautifully with the sweet of the carrots and the bitter kale.